Begin this deluxe tour in Lima, where some of the best food on the continent is found and where you will be invited to taste some of the famous local cuisine. Venture to Reserva Amazonica Lodge, a luxury jungle lodge located in a private reserve in the Amazon basin. Daily guided excursions include a visit to Lake Sandoval, the most magnificent lake of the Tambopata National Reserve, the Inkaterra Canopy Walkway, canoeing to oxbow lakes, hiking nature trails, wildlife spotting, visit to a local farm. Wildlife includes giant river otters, red howler monkeys, macaws, prehistoric hoatzins, anacondas, turtles, caiman, piranha, toucans, sloths, amphibians, among many others. Flora includes giant strangler fig trees and numerous species of orchid. During time at the lodge you will have time to visit the all-nautral ENA Spa. 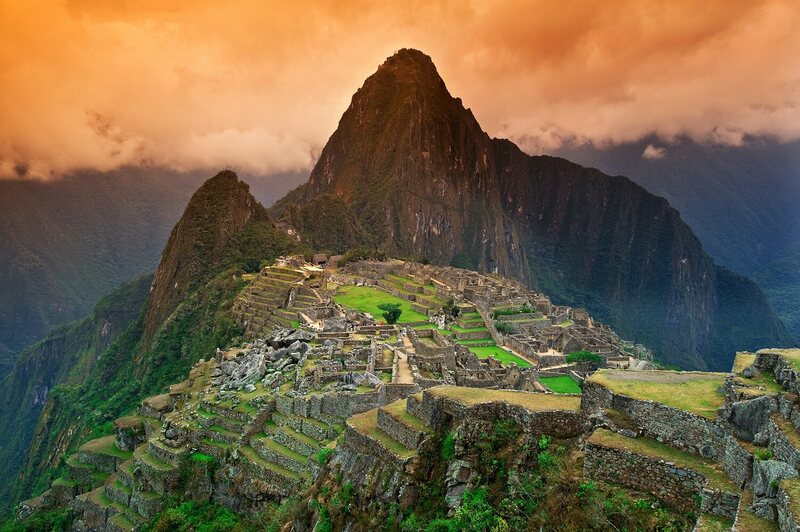 Travel to the Sacred Valley and explore its hearty spread of ruins, markets, and old fortresses before venturing to Machu Picchu. The scenery and history can't be beat as you relax in a luxury lodge with meals included. Enjoy live entertainment, drinks and fine dining as you return to Cusco aboard the deluxe Hiram Bingham train. In Cusco you will stay in a classic hotel with old charm and modern luxury hotel service. Have a chance to explore the city and its surrounding areas before wrapping up your fabulous trip. I was very impressed with Lost World from my first encounter via email with them. They put together a wonderful itinerary that suited our needs and expecta-tions to the T. We loved our guides, our hotels, except for the last one at the air-port, and our tours. I would recommend them to anyone traveling abroad. Custom Trip Package: Be on your own schedule. Activities or day tours can be private or shared. Pre-Packaged Group Tour: Join a scheduled, multi-day group tour. Luxury Cruise: All-inclusive travel by cruise ship. I would like my Travel Consultant to make suggestions based on my interests. Select a value Unsure when I will go on this trip, still in the exploring possibilities stage I am ready to take this trip, I just need some help deciding where to go! I know where I want to go, I just need help planning!